Alexandra (Sasha) Killewald is Professor of Sociology, as well as a faculty member in the Harvard Center for Population and Development Studies. 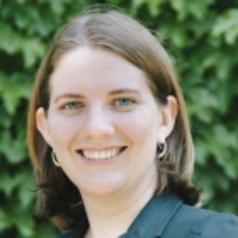 She received her Ph.D. in Public Policy and Sociology from the University of Michigan in 2011. Prior to her appointment at Harvard she was a researcher at Mathematica Policy Research. Her research takes a demographic approach to the study of social stratification. Much of her work focuses on the work-family intersection. She has published (with Margaret Gough) several articles on the ways in which earnings and employment shape women’s time in household labor. Her current research in this area explores the effect of marriage and parenthood on workers’ wages. She is also the author (with Yu Xie) of Is American Science in Decline? (2012), which documents trends in the size of the American scientific workforce, public attitudes toward science, youth interest in science, the production of scientific degrees, and transitions to scientific employment, in addition to evaluating the position of American science on the international scene.